Modern hollow drum lamp shade hand made in the UK from 100% silk. The 50cm diameter doughnut drum is suspended from a polished chrome ceiling mount, fine silver wire and clear flex suspension. From the underneath a circular ring diffuser held in place with chrome clips hides the four lamp holders, whilst diffusing the glare and evenly distributing the light. 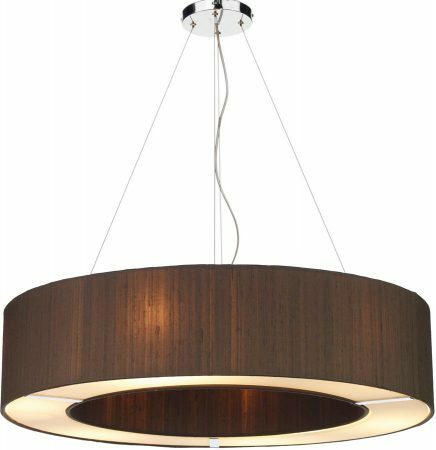 The Polo pendant range is made in Britain in a choice of twelve colours and this 50cm hollow drum takes four, 60 watt lamps. 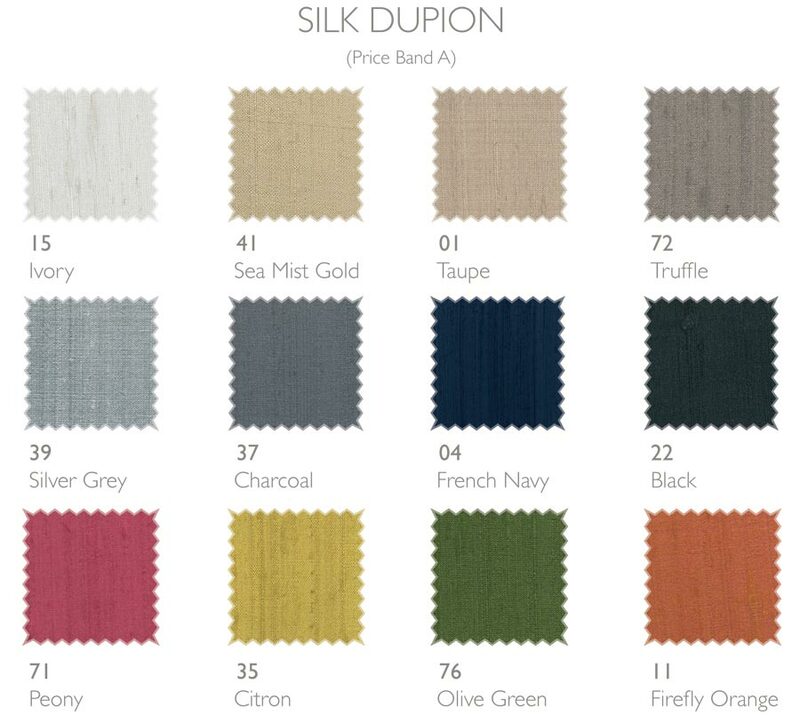 The main image shows the shade in pure silk nutmeg. Height adjustable at the time of fitting, minimum height 35cm, maximum height 300cm. 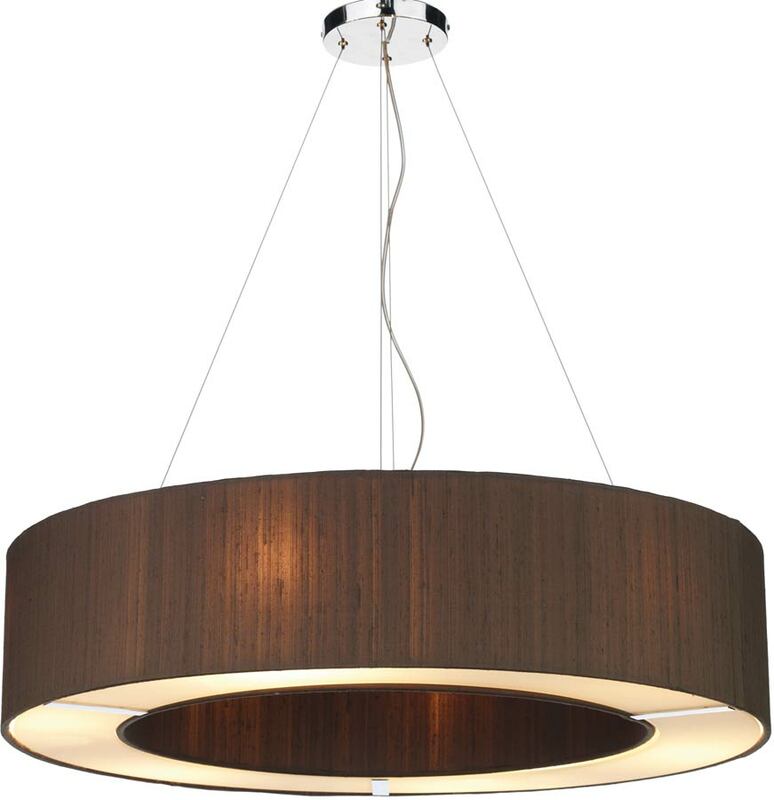 Shade height 16cm – Shade diameter 50cm. Class 2 double insulated, no earth required. Please see additional image of the colour swatch and contact us with your colour preference or state your colour in the special instructions box at checkout. Made to order, please allow 2 – 3 weeks for your shade to be handmade and delivered. Part of the Polo handmade in the UK pure silk range, available in twelve colours that can be viewed below and includes a larger 85cm diameter ceiling pendant.